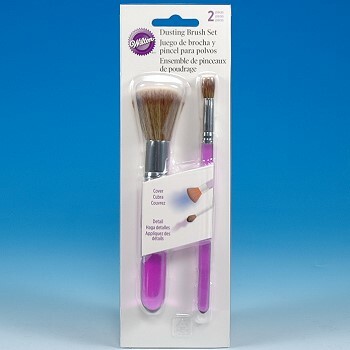 Dusting Brush Set, is two specialty brushes for applying luster dust and petal dust to rolled fondant cakes and gum paste flowers. 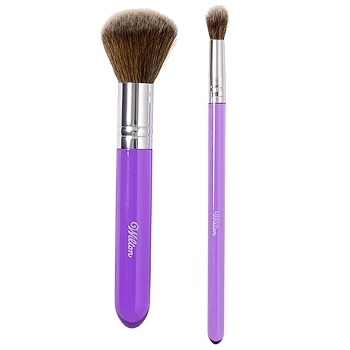 Food-safe brushes in two sizes with soft, synthetic bristles. Large brush for covering large areas of a fondant cake or to brush entire flowers with color dust accents. Small brush to dust small details on fondant or gum paste decorations, adding realistic shading to your designs.